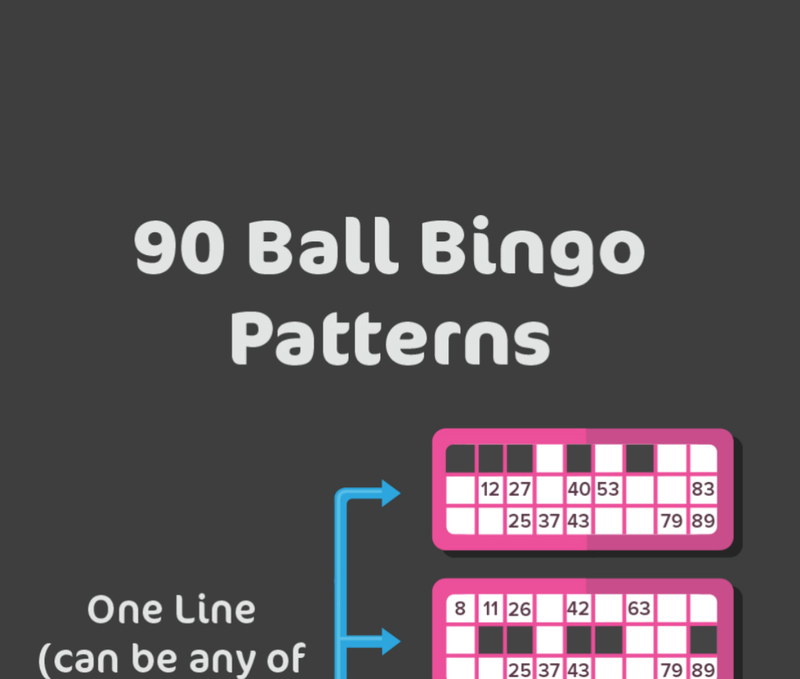 90 Ball Bingo is one of the most popular bingo variations played in the UK. It varies in layout patterns from it’s relative, 75-ball bingo and has quickly become the fastest growing form of the game worldwide. To buy into a 90-ball bingo game, you simply need to purchase numbered bingo tickets from a bingo representative (in a live bingo hall) or from the digital host (in an online game). 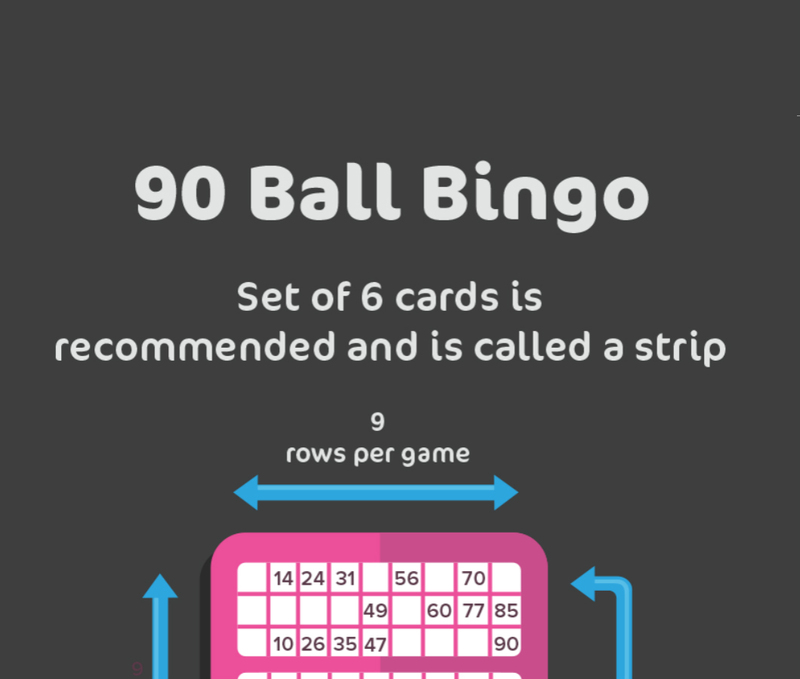 In almost all instances, 90-ball bingo is played on a single strip that contains a total of six tickets to be used per round. 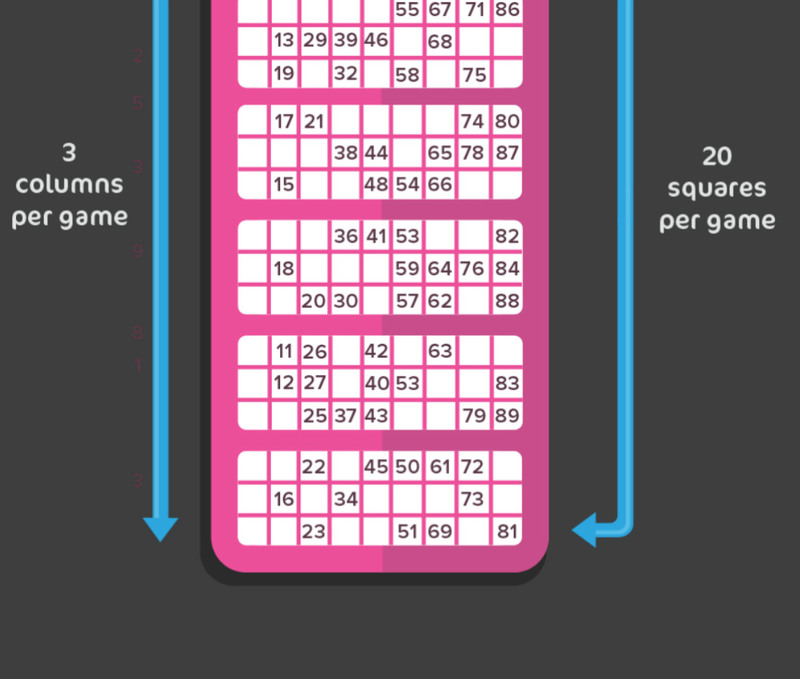 The 90 numbers used in the game are spread throughout the six tickets (with blank spots taking up the remaining positions), so that each number is represented somewhere on one of the six tickets. The numbers 1 through 90 are used in a standard 90-ball bingo game. In a live hall, a bingo caller will call each number one at a time until the winning cards are identified. The same goes for an online game, though the computer software will select the balls. During a game, each number will only be called out once. One-Line Bingo :- Cover all of the numbers on any single row on any ticket. 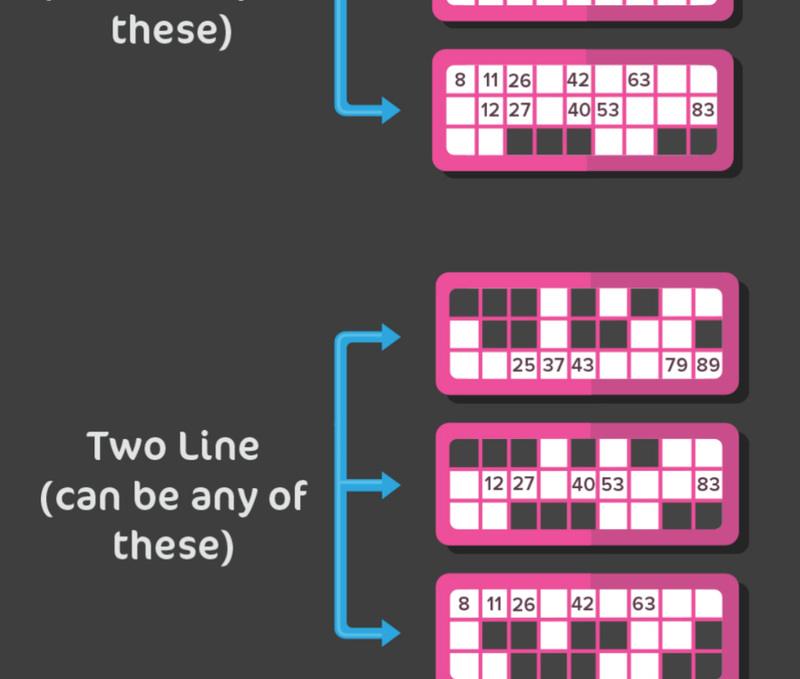 Two-Line Bingo :- Cover all the numbers on two of the three rows on any ticket. Full House :- Cover all the numbers on all three rows on any ticket. If you are playing in a live hall, you will have to shout “BINGO” to signal to the bingo staff that you have a winning bingo combination. After all three winning combinations have been announced, the round ends and you can then discard your used ticket strip and prepare to start the next round with a fresh strip. In an online game this will be done for you. Know the Rules: While 90-ball bingo is played the same way almost universally, each hall and online provider has their own set of rules and ways of operating that you should know about. This way you don’t have to worry about doing something wrong or accidentally making a mistake that could cost you prize money. 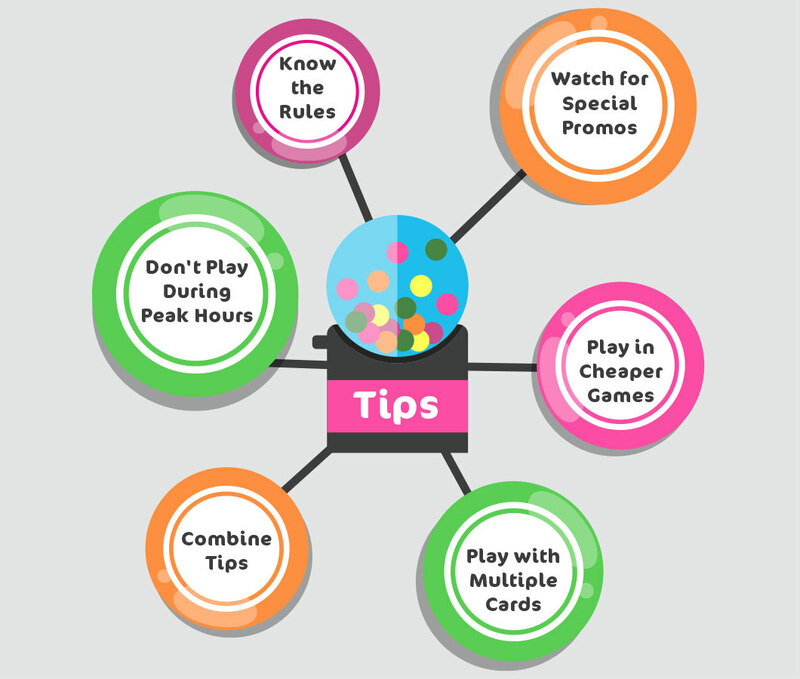 Watch for Special Promotions: Every bingo provider has unique games and promotions that they run. Participating in these games are a good use of your buy-in money as whatever the promotion is, chances are you’re getting a higher value when compared to a standard bingo round. Some places will offer a buy one/get one special where for every ticket you purchase, a free one will be added. Save your money for these games, especially if they offer a guaranteed minimum prize pool, and you’ll be stretching your bingo money wisely. 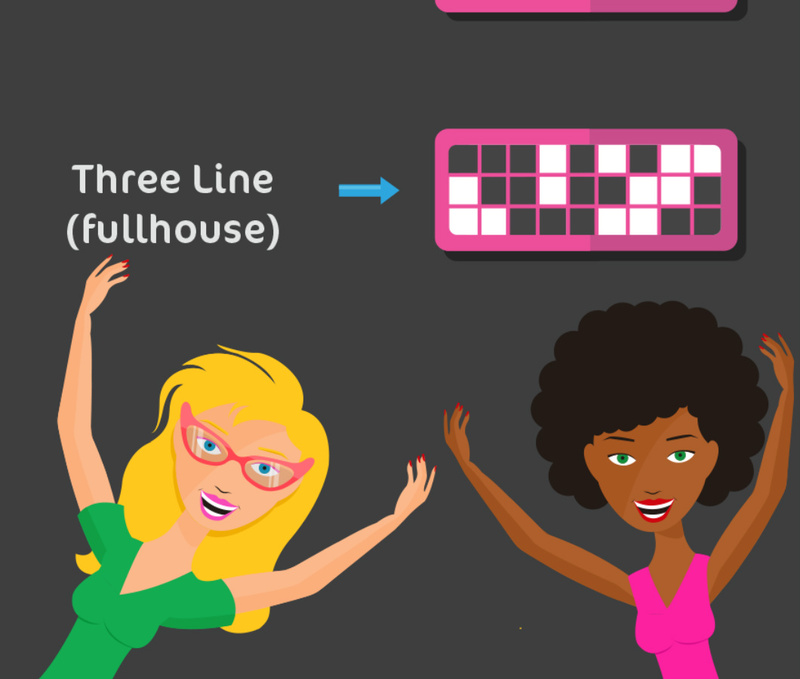 Don’t Play During Peak Hours: When it comes to bingo odds, the math is simple. The more players you’re playing against, the harder it’s going to be to win. Instead, try to adjust your schedule so that you can focus on playing during off-peak hours. This is possible both in a live and online setting, as all you have to do is a little research to find out what games/start times attract the most players and then avoid those games. This is a quick and easy way to maximize your odds of winning. Play in Inexpensive Games: If you’re playing on a tight budget, you can always find bingo games from your preferred provider with lower-priced cards. By playing in these games, you can increase the number of total matches you can participate in, thus giving you more chances to win overall during your session. Play with Multiple Cards: Another way to put the odds in your favor is to purchase multiple cards for each round, rather than playing on a single card. This can affect your budget, so take that in to consideration before buying too many cards for a round. In a live game, it takes a lot of concentration and fast reflexes to be able to play multiple cards at once, so only accept that challenge if you feel you can handle it. Online, simply select the option that will enable the computer to mark all of your cards for you. Combining Tips: By putting a few of the above tips together, you can really put the odds on your side. Find games with low-priced cards that are taking place in off-peak hours. Then, if your budget allows, purchase multiple cards for those rounds. You’ve now given yourself about just as good a chance of winning as any experience bingo player could hope for. Most importantly, don’t forget that bingo is ultimately about having fun, so find the 90-ball games that you enjoy the most and you’ll never find yourself unhappy with a session.